What a shocker. 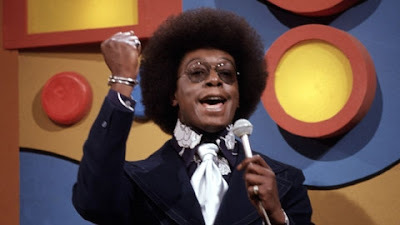 Soul Train creator Don Cornelius has apparently committed suicide at the age of 75. Here's what little is known so far. "Soul Train" creator Don Cornelius was found dead at his Sherman Oaks on home Wednesday morning. Law enforcement sources said police arrived at Cornelius' home around 4 a.m. He apparently died of a self-inflicted gunshot wound, according to sources, who spoke on the condition of anonymity because the case was ongoing. The sources said there was no sign of foul play, but the Los Angeles Police Department was investigating. "As always in parting, we wish you love, peace, and soul." I was a fat kid with 3 brothers and one black and white TV. Band Stand was OK but Soul Train was great! I heard music and saw dance moves that have stayed with me and Dons voice was smooooth. I am sure he had good reason and he went out on his own terms. You made history and will be missed by many.